Are you looking to embrace a higher version of yourself? If so, this fishtail selenite is your guide. Fishtail selenite, also known as angel wing selenite, is a beautifully shaped form of selenite that — like its name suggests — resembles a fishtail. It works to illuminate your highest self and connects you to divine energy. It’s said that fishtail selenite helps you give birth to a new version of yourself; it’s a great stone to work with during transitions and when you’re looking to create a clean slate. Selenite is known as the Happiness Stone. It raises vibrations in a space and attunes you to the greater good of all beings and the consciousness of your higher self. I personally use it to open ritual circle and create sacred space. To me, it’s the best possible tool to work with in opening a circle and envisioning the white beam of light surrounding all who gather with you. 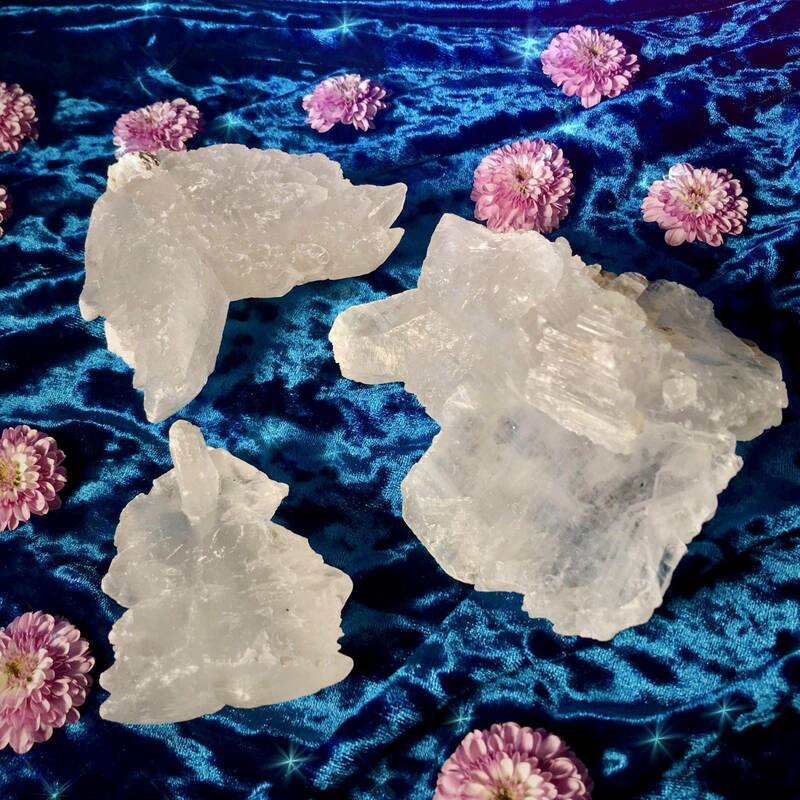 Selenite is gentle and peaceful, yet strong and potent. Negative energy cannot persist in its vibrational presence. Selenite is a go-to stone for many healers and energy workers. It’s a favorite among Reiki practitioners because it purifies energies and brings light to darkness. It’s also a stone of attunement. 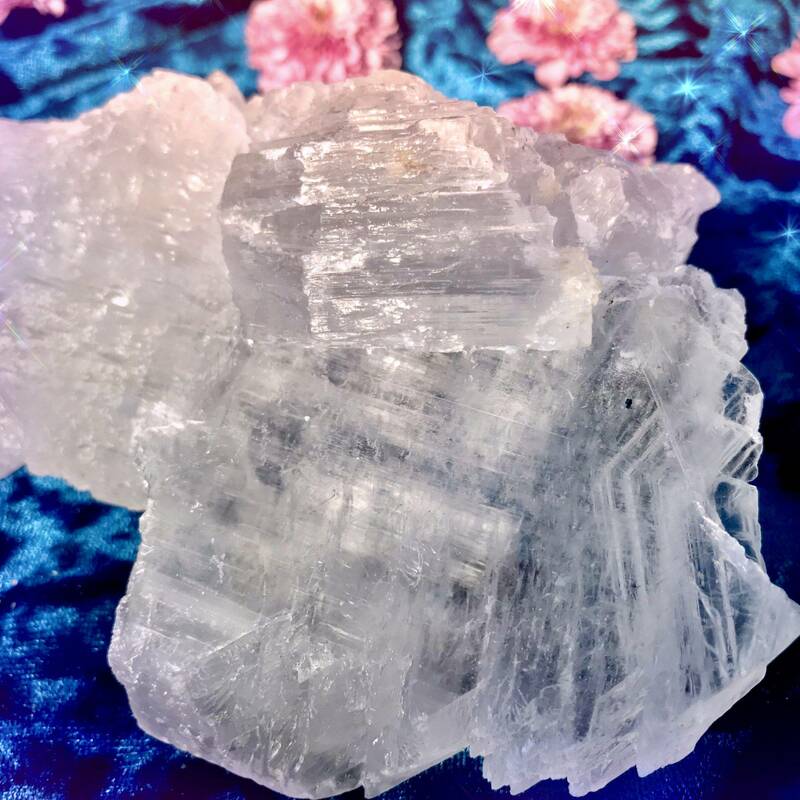 Selenite is fragile – be careful not to get it wet – but also quite strong, which makes it similar to us as spiritual beings, tender yet strong in our own ways. Selenite is the stone of the Hermit in the Tarot, with his lantern out before him seeking truth in the world. 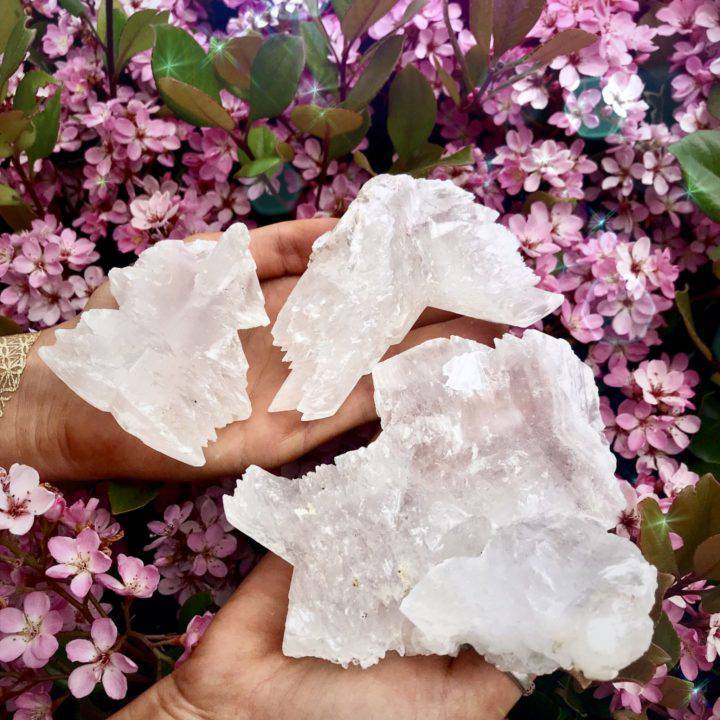 Think of selenite as your soul’s lantern, projecting light in darkness and helping you move on your path with grace and ease. This listing is for one (1) fishtail selenite. I have three sizes to offer you: Small (about 3”), Medium (about 4”), and Large (about 5”). Please choose the size that calls to you from the drop-down menu. Yours will arrive lovingly parceled along with a single leaf of white sage and a card describing the properties of the stone.